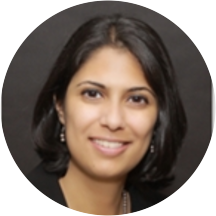 Aalia Saeed is an engaged and detail-oriented gastroenterologist based in Lapeer, MI. Dr. Saeed earned her medical degree from Rawalpindi Medical College in Pakistan. She then moved to the United States to complete her residency at the University of Minnesota, and continued her training by completing a fellowship in gastroenterology at Henry Ford Hospital. Dr. Saeed is a part of McLaren Lapeer Region Community Medical Center. She is board certified in internal medicine and gastroenterology by the American Board of Internal Medicine. Dr. Saeed is uncompromising in her dedication to the well-being of her patients. She is committed to giving the best care and establishing long-lasting relationships with them.